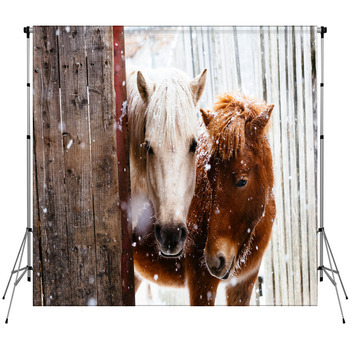 Horse backdrops from VisionBedding come in a wide range of designs making it easier than ever to find a unique horse backdrop to suit any theme needed. 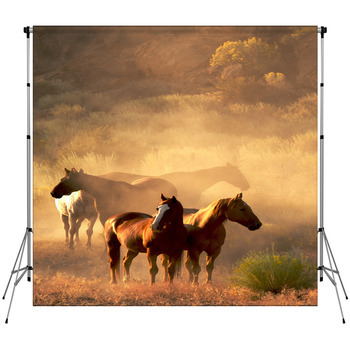 For thousands of years horses have captured the attention of everyone from boys and girls to teens and grandparents. Horses have an aura of beauty and power all their own capturing the interest of millions of horse lovers worldwide. But horses are far more than simply beautiful. 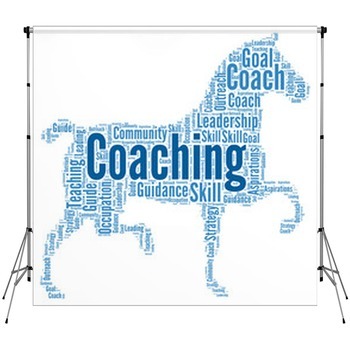 Horses have played a pivotal role throughout human history due to their utility and strength. Horses have been used for every imaginable form of labor from plowing fields to pulling wagons. Drawing on their usefulness horses have been bred to specialize in hundreds of tasks creating a bewildering array of distinct breeds. Although today machines have replaced horses in most labor intensive tasks horses still have their specialized uses. Horse racing and equestrian shows use very unique breeds while farmers and ranchers still frequently use quarter horses for transport and herding. 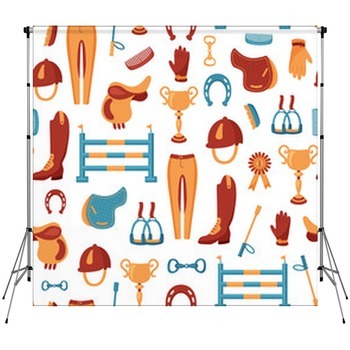 A photographers backdrop consisting of brightly colored backgrounds and playful horses gives a unique setting any little girl or teen will enjoy. Making an exciting setting to take pictures in is a great way to set the subjects at ease making any picture taking session easier. 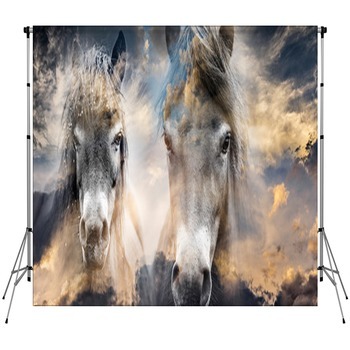 Another design featuring a hand drawn horse meandering through an open field is a great choice for any teenager who wants a custom backdrop for their senior pictures. 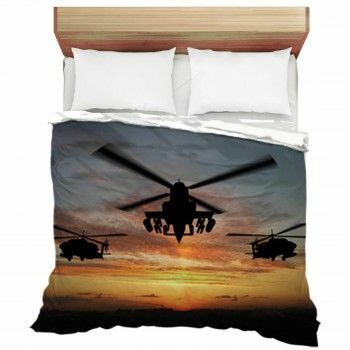 Custom backdrops for photographers are an easy way to bring unique settings to those special customers looking for a great photography experience. A wild and heart theme can be a great way to set apart a picture taking session. A heard of wild horses kicking up dust and living without borders is a great backdrop design for a wild or wide open theme. While a backdrop design showing two horses at sunset in a field of orange and red hues brings a collage of color. 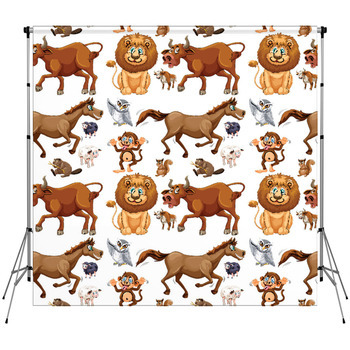 Creating custom portable backdrops adds versatility and variability to a photographer or studio’s portfolio making sessions that much easier. 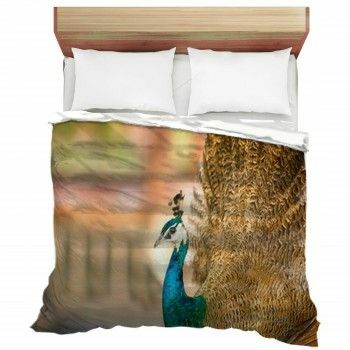 A design featuring a galloping horse and rider with a painted feel is perfect for any rider or horse racing enthusiast. 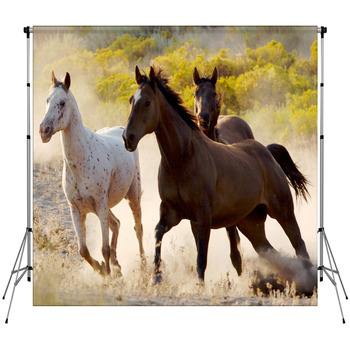 Horse racing has been an ever popular sport for thousands of years and a personalized backdrop is a great way to give anyone who enjoys horse races a unique photography experience they won’t soon forget. Equestrian is a specialized yet popular sport with a dedicated audience. An equestrian horse jumping a tall barrier is a truly one of a kind staging backdrop found nowhere else. 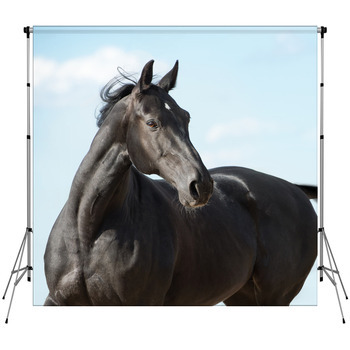 Providing unique photographers horse themed backdrops is a great way to give customers a personalized photo taking experience they always enjoy and won’t soon forget.